European Commission president Jean-Claude Juncker has opened a series of exhibitions in Karl Marx’s hometown of Trier. They include a huge bronze statue of Marx donated by China. It’s to be officially unveiled on Saturday; the 200th anniversary of the birth of the philosopher. "Karl Marx was a philosopher, who thought into the future had creative aspirations," he said. "Today he stands for things, which he is not responsible for and which he didn't cause, because many of the things he wrote down were redrafted into the opposite." The huge bronze figure is mounted on a pedestal directly in front of the former Marx family home. Chinese President Xi Jinping also praised him. "Marx is the mentor of the revolution of the proletariat and working people all over the world," he said. "He is the main founder of Marxism, the founder of Marxist political parties and the creator of international communism, and the greatest thinker of modern times." 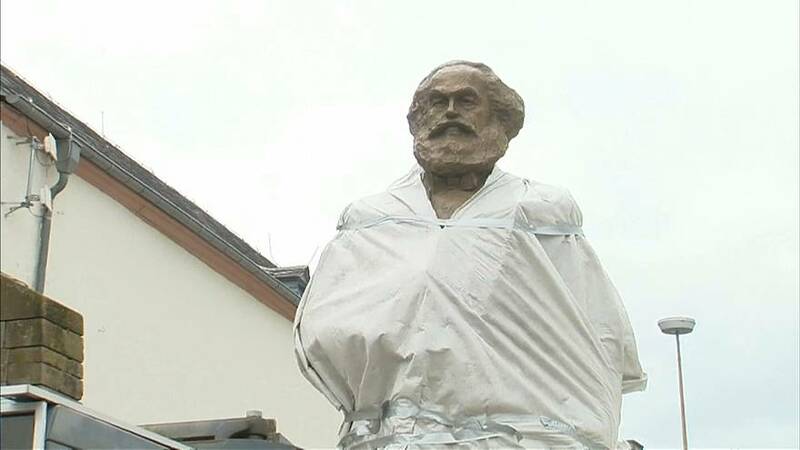 Politicians in Trier say they are not glorifying Marx but say he was a significant figure in the town they encourage people to discuss his philosophies. Marx spent the first 17 years of his live in the town where about 300 events have been organised to mark his bicentenary.